If you find yourself saying “I’m late, I’m late, for a very important date!” far too often, than these White Rabbit costumes are right up your alley. Even if you are not constantly panicked by the passing of time, these are adorable homemade costume ideas for all ages. Discover the clever way one woman made it seem that she had furry white feet. Such a simple DIY costume idea that is so effective, you will wish you had thought of it. In addition, check out the prize winning siblings featured here. 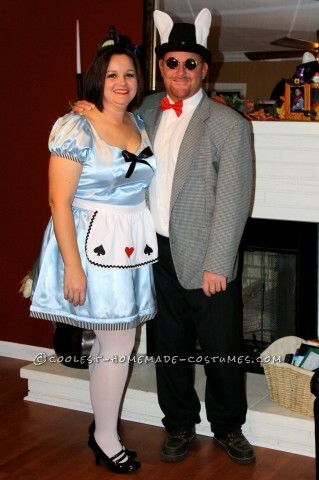 They look so happy and cute in their Alice in Wonderland and White Rabbit costumes. Add to this adorably fuzzy collection with your own homemade costume! 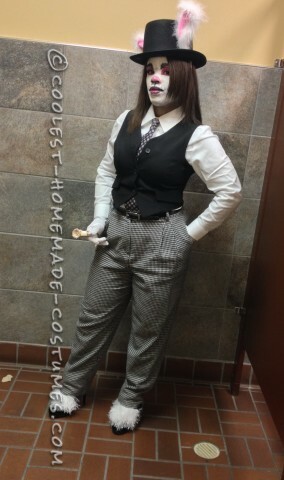 We always love to see the costume creations our readers have put together. Share them here and inspire others with your amazing DIY costumes.